Here at Bespoke Door Installations, when we say you can customise your door to meet your exact specifications, we mean it. 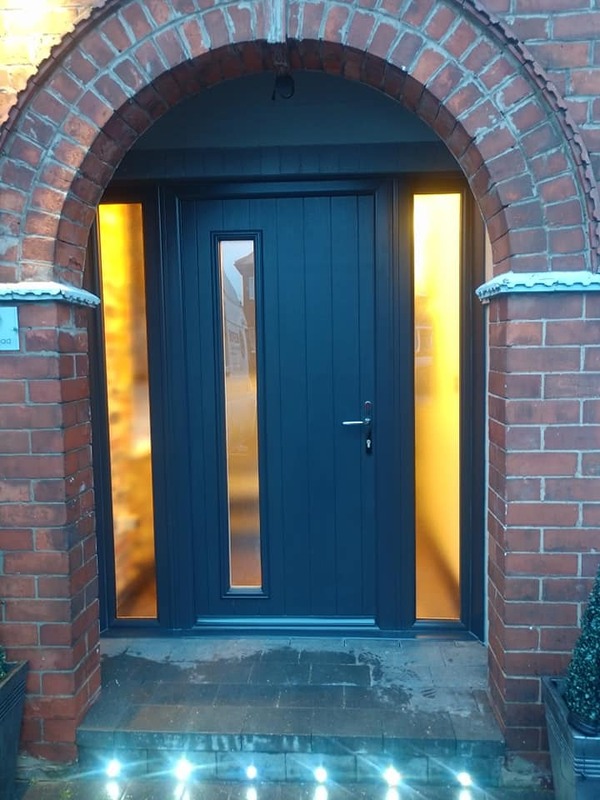 We pride ourselves on being able to offer the ultimate range of choice when creating your new door, covering everything from style to colour, glass, frame, and much more. This is exactly what one of our recent customers did, for this fantastic Stippolyte glass door fitted in Mansfield by our team. The customer, using our easy to use door designer tool, chose an attractive anthracite grey colour for their door, along with the frame. Also included were sidelights allowing light to flood into the property, and a long door window all of which were made from high spec Stippolyte glass for enhanced privacy. Along with the fantastic looks, the door also provides all of the usual benefits that composite doors offer. This includes increased durability, great style, enhanced security, and even extra energy efficiency – keeping draughts out and heat in much better than a standard UPVC or wooden door. On top of that, our secure door guarantee means that if the homeowners door is ever broken during a break in, then they will receive £500 in cashback. That’s how confident we are in the strength and security of our doors. 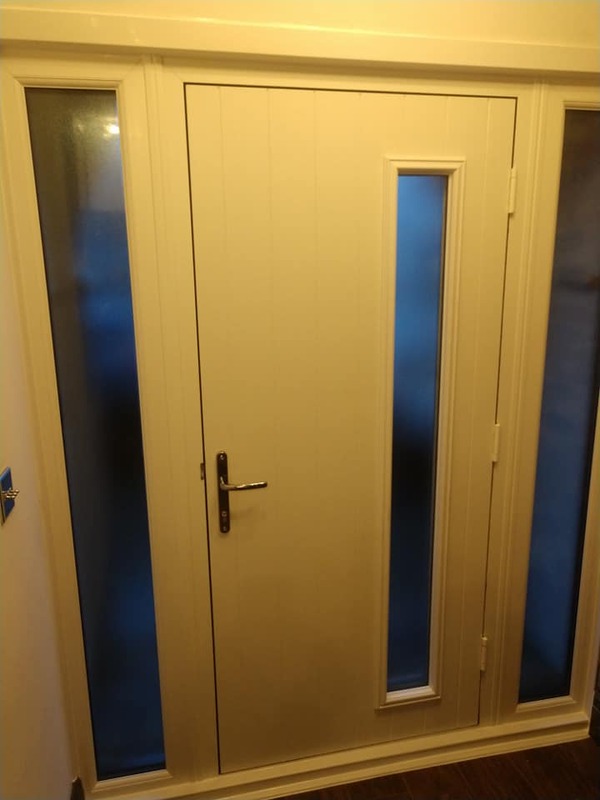 Finally, as with all of the doors that we supply and fit, installation was included in the price, and we disposed of the home owners old door for them too. See below for some photos of the fantastic anthracite grey Stippolyte glass door we have fitted in Mansfield. 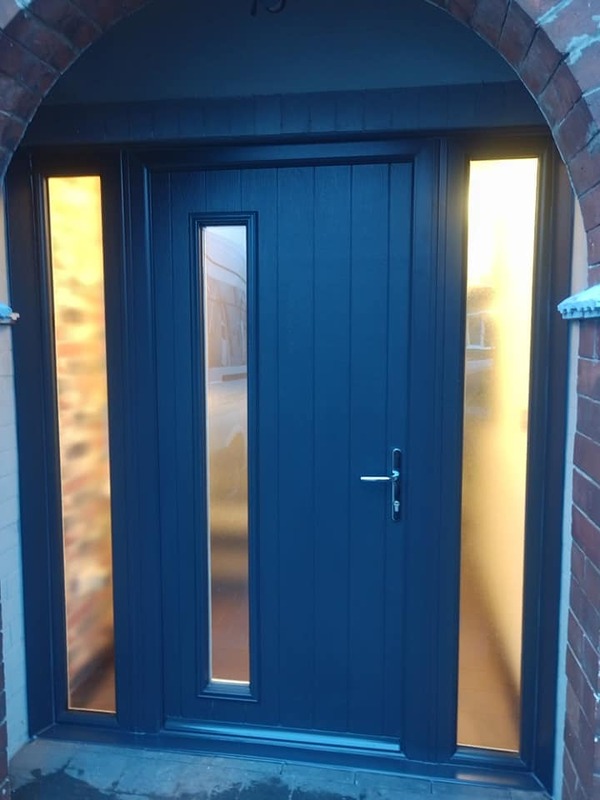 For more information regarding the genuine composite doors fitted all across the region by the Bespoke Door Installations team, please don’t hesitate to give us a call today on 01623 325000, or why not give our design a door tool a go and create your very own bespoke door below.